UW-Eau Claire's new, major events facility. 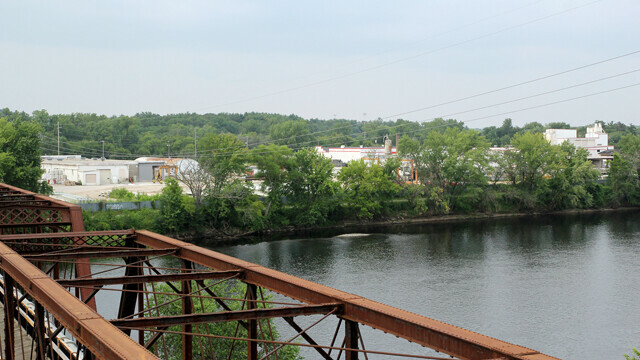 There’s some exciting news in this issue (right here) about a major donation of land and money to UW-Eau Claire in the name of building a major event facility on Menomonie Street along the Chippewa River. It would be the kind of space that could hold 7,000 people or more for sports, concerts, trade shows, conventions, and all sorts of tantalizing things. So yeah, major news. That’s Confluence Project-level news. And speaking of that little arts facility project (in case you forgot about it), upon hearing about the event center many of us who follow these sorts of community developments all thought the same thing: “Jeez, can we just hold off on this news for a year or so?” That’s because the event center is certainly on more of a 5- to 10-year sort of trajectory, so there’s no rush. And while such a venue is extremely exciting and needed and amazing, we really still need a lot of focus on the Confluence Project to get it done. There’s a lot of money yet to be raised, and we all know this is a tough town to have two major (and sort of similar) interests raising tens of millions at the same time. It’s absolutely possible to make them both happen eventually, but unfortunately we may need to take one thing at a time in a town this size. So here’s to good news all around – it’s a great time to be in this community. But let’s not forget we need to buckle down and get the Confluence done before we get too far ahead of ourselves. But one thing is for sure, we’re all on the right track.